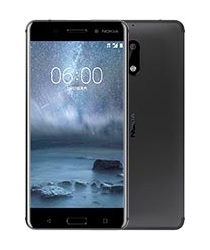 Nokia 6 is the first smartphone from Nokia under the HMD Global company and it comes with a 5.5-inch Full HD display and runs the latest Android OS version, i.e. Android 7.0 Nougat. The phone comes with a fingerprint scanner as well and there is a camera combination of a 16-megapixel rear and an 8-megapixel front-facing camera. Check below for the full phone specifications, rating of the Nokia 6 smartphone. nokia 6 sar rating or sar value = ?